How do I get rid of rood rats? 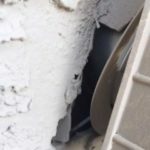 Roof rats are a growing problem in Phoenix and the takeover only gets worse as temperatures dip because they’re looking for somewhere warm to nest. Those warm places are often located on the roofs and upper levels of residential homes. Phoenix residents may likely be seeing signs of these unwelcome visitors in their home. 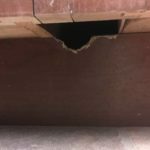 It wouldn’t be so bad if they kept to themselves, but roof rats are nocturnal creatures and make noise at night chewing through your wood, insulation and wiring, leaving you with a hefty repair bill when they move out. They can also cause health problems because their waste can spread allergens and disease. 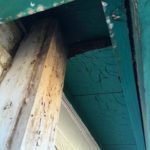 So, it’s easy to understand why you want them gone for good and are asking, how do I get rid of roof rats? 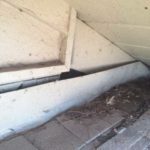 We have some tips to prepare against these rodents and to help to rid your home of roof rats. Roof rats love homes that give them easy access to their favorite foods and drinks, so make your home less appealing by taking away their free meals. Their favorite foods are citrus-based fruits (like oranges, lemons and limes) because they’re both a food and water source. Other fruits (like figs and pomegranates), vegetables, nuts, seeds and stored grains are also enticing to roof rats. Thoroughly pick your trees and clear any remaining remnants from the ground, your yard and garage before the cool weather hits. Keep bird seed, nuts and pet food in sealed containers and indoor. Keep barbecues clean as food debris and grease are excellent food sources. 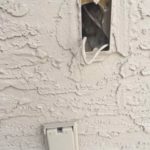 Rats can grab water from anywhere around your home, even places you wouldn’t consider, like leaky faucets, sprinkler heads and air conditioner condensation drip lines. Fix these if they’re leaking or faulty. Also consider emptying bird baths, fountains, ornamental ponds and outdoor pet watering dishes. Rodents cause the most damage inside your home and garage, so the first goal should be to keep them from getting indoors. Rats can and will make entry points for themselves if there’s reason enough to work at it. For best results seal up gaps in your home with steel wool, diamond mesh wiring, or other metallic materials. Some openings in your home need to remain open, such as attic and plumbing vents. Use a wire mesh screen to keep rodents out of these areas. You should never screen off a dryer exhaust vent as these can quickly become a fire hazard. Rats and mice have skeletons of cartilage and can squeeze through gaps and cracks you wouldn’t expect. 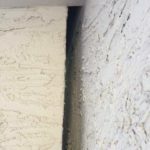 Pay attention to gaps around utility lines enter the home, such as water heater, plumbing and AC coolant lines, as well as gaps around doors, and dog doors. It’s also a good idea to put wool or copper mesh inside the air conditioning line that leads into your home’s attic. Rodents use trees, bushes, power lines, and other items to help get on and into your home. Where you can, trim back trees and bushes away from structures and about 4 inches off the ground. Other physical items that don’t need to touch the house, such as unused ladders and dog houses should be kept away as well. Detached garages, sheds, dog houses, barbecues, and other structures should not be neglected. These areas are often overlooked because there’s not as much human traffic, which only makes them a better nesting place for rodents. 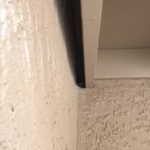 Even the most diligent homeowner will have an occasional rodent make their way inside. If that happens, you need to react quickly so they don’t have a chance to get comfortable. Snap traps and glue boards can be effective tools when used properly. Place them along the wall near entry points and other areas where you find evidence of activity. Peanut butter and granola bars work well as bait for these traps. Be sure to place snap action traps in areas kids and pets won’t accidentally trigger them. Rodenticides can be effective tools for eliminating almost any infestation. Feeding stations with rodenticides can be placed near food and water sources, in attics, near the rodent nest, and some are even designed to be placed in trees. Be sure to strictly follow the labels of any products you use and keep any baits safely away from kids and non-target animals. Never use more than is recommended as some baits can create a hazard for wildlife that normally feed on rodents, such as cats, coyotes, and birds of prey. We also suggest avoiding ultrasonic or electromagnetic devices marketed to drive rodents away; We’ve found them to be completely ineffective. Baiting them with Coca-Cola — passed around as an “all-natural” alternative to rodenticide — doesn’t work either because roof rats actually enjoy drinking it, according to a study conducted by the Maricopa County Vector Control. Dealing with rodents can be a big job, and many factors not discussed here can impact your treatment results. Things like the rodent social hierarchy, bait tolerance, and neophobia can all make eliminating rodents difficult. 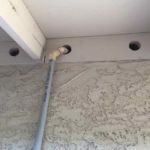 If you’re not sure you can keep roof rats from invading your home, then your best option is to call in the professionals at Blue Sky Pest Control. Our team will access your home and the problem, then recommend the best plan of attack to keep rats out of your home — and out of your life.